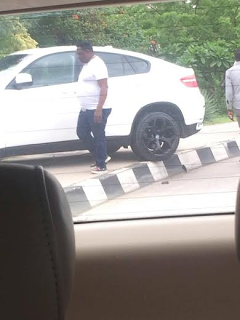 Nollywood actor John Okafor, popularly known as Mr. Ibu had an accident. 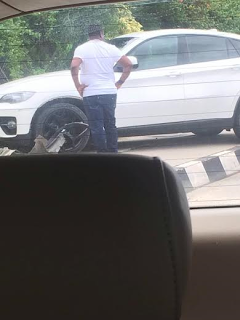 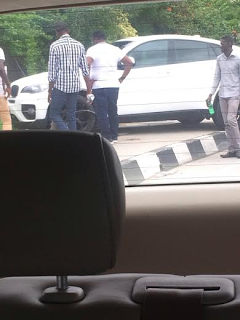 He reportedly crashed his White X6 panda somewhere around Lekki - Ikoyi bridge roundabout. 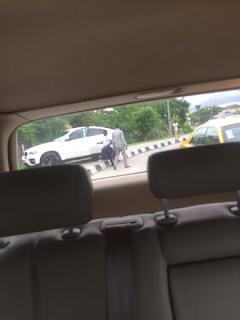 Twitter user @temi_jon shared the photos & wrote, "Mr ibu don high sotey go crash him car for lekki/ikoyi bridge roundabout"